Our To Norman With Love service day for 2016 will be held the morning of Saturday, May 7. We hope that you and your church will consider joining us. Please contact Zach for more information. This Saturday, May 2, is the day! We'll be meeting for our Kick-off Rally at McFarlin United Methodist Church at 8:30 am in Fenn Hall (the east end of the building). There will be some refreshments and the opportunity to buy a "To Norman With Love" shirt that you can wear each year that you participate. We are having an information meeting tomorrow, March 25, at noon. It will be held at McFarlin United Methodist Church (419 S. University Blvd) in the atrium on the 2nd floor. All interested persons are invited to attend! 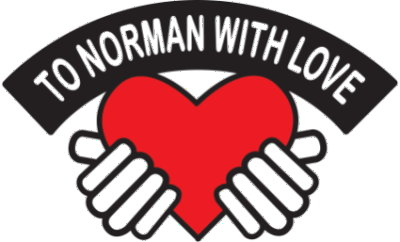 This year's "To Norman With Love" day of service will be held on Saturday, May 2. We would love for you to join us! If you are a church representative or an individual interested in serving, please contact Zach DuFran. If you are a non-profit agency or someone else with a need for servants, please fill out the Service Request form. Projects that need volunteers will be posted to the Projects page soon. This Saturday is our big day of service! There are many groups planning to serve our community in a wonderful variety of ways. I hope you are all excited! The day will start bright and early at the Bethel Baptist Church Annex on McGee at 8:30am. Please plan to attend and be ready to head to your project site. If you have a t-shirt from serving in the past, please wear it! If you don't have one, they will be available for $10 on Saturday morning. I look forward to serving with you on Saturday morning! 2011 To Norman With Love. Watermark theme. Powered by Blogger.